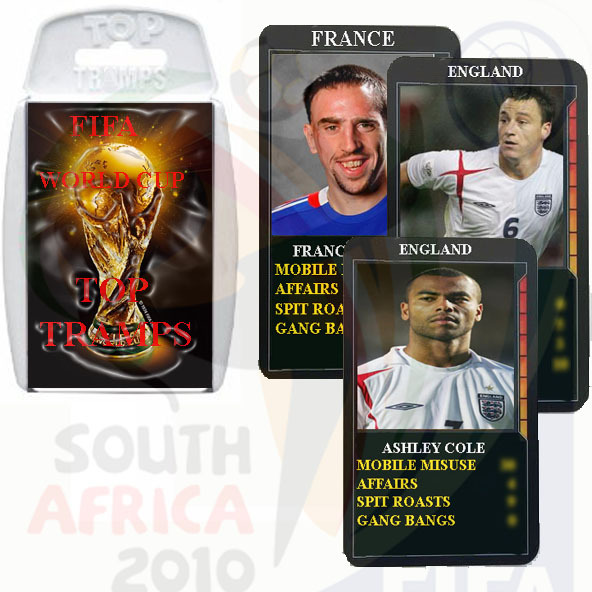 TOP TRAMPS World Cup Card Game £3.99 In all good retailers now. ← World Cup gamblers ‘smoking vulture brains’ to help them predict. this is great,and a great idea I like the way you have changed the Top Trumps box Into Top Tramps I hope to see more good ideas like this.